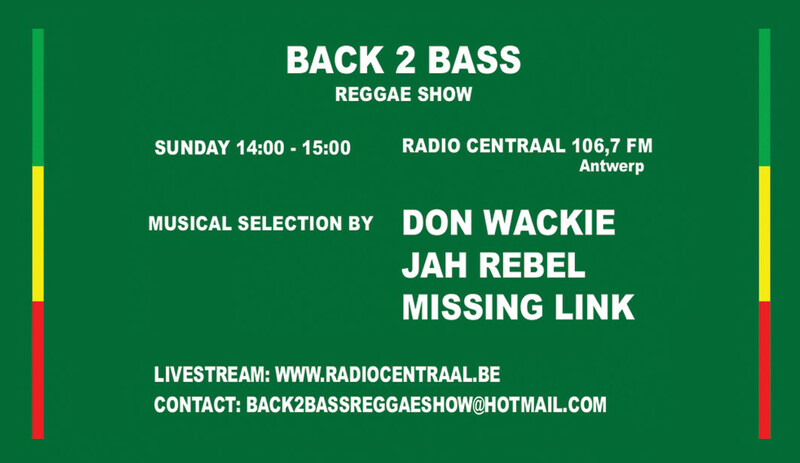 The earliest remnants in the Back 2 Bass story can be traced back to Kingston Records, a reggae Music store run by Luc Pleuger aka Gabba Longsize in the Stadswaag area of Antwerp. Two regulars, hanging around at the store nearly daily, were Kenneth ‘Don Wackie’ Oyen and Ivo 'Principal One' Lodewijckx. Searching for a fitting way to express their common passion for Jamaican music, the trio, calling themselves Kingston Family, soon ended up in the world of sound system deejaying. When a slot opened up at the Antwerp independent radio station Radio Centraal, Wackie and Principal saw this as the ideal opportunity to spread their message and music to an even bigger audience. Since Gabba decided not to take part in this venture, the show was called Back 2 Bass (back to bass, red.) to avoid possible future mix-ups. In 1993 a third microphone was added to accommodate diehard fan Michel ‘Mikey O’ Otten, who joined in hosting the show. In that same period Back 2 Bass also started to make headway in the sound system scene. From the very beginning Back 2 Bass always aspired to be an allround and up-to-date reggae show and as a sound system they tried to emulate Jamaican sound systems like Stone Love or deejays like Sir David Rodigan, with Principal One being the MC, Wackie the operator and Mikey O the selector. Together with Boombastic, Back 2 Bass introduced the dubplate in Belgium. Highpoint in their sound system career was 1998, when they got the chance to play at the Reggae Geel festival and, in the same year, beat Survival High Power and Spots Roadshow in a classic Belgium-Holland soundclash. In 1999 the trio was briefly extended to a quartet when Jan 'Smokey Joe' Geldolf joined the crew. However, seeing the combination of their Back 2 Bass activities with their private lives become more and more difficult, Mikey O and Principal One unsurprisingly decided to call it quits not much later. It was also in this somewhat lower point of their history that Back 2 Bass decided to say goodbye to the competitive sound clashes and only to continue deejaying on an irregular more leisurely basis. In the first years of the new millennium Don Wackie and Smokey Joe continued to provide their Sunday audience with fresh reggae vibes, but then faith struck a cruel blow: Jan sudden fell very ill. The verdict was hard; Jan was diagnosed with cancer and his health deteriorated fast. In search for someone to fill the void Smokey left behind, Wackie ended up with Tim 'Jah Rebel' Ianna, music journalist and true reggae aficionado. Job related issues prevented Jah Rebel from being in the studio every Sunday, forcing Back 2 Bass to go in search of a third member; a search quickly resulting in Kevin ‘Missing Link’ Welslau joining the ranks in 2007. Finally, in 2012 Peter 'Crucial P' Piessens, a veteran from the Belgian reggae scene with experience as a selector and MC for Belgian pioneer-sound Boombastic and as an independent producer, also joined the Back 2 Bass crew. 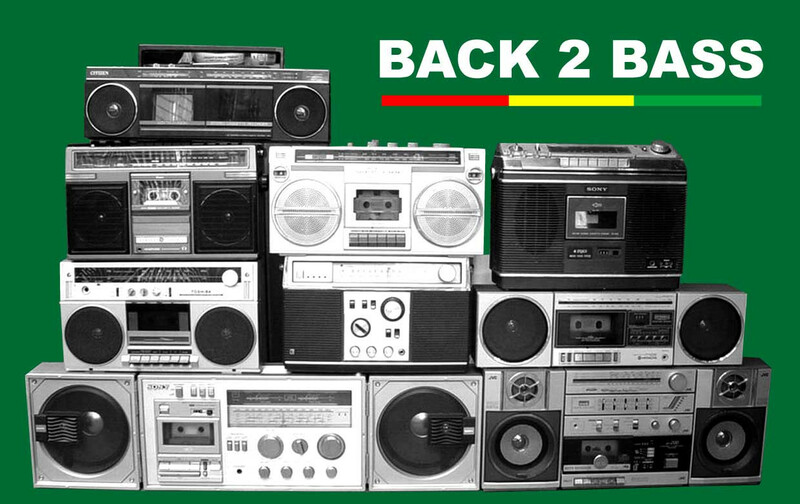 Back 2 Bass is on live every Sunday from 14h. till 15h. and afterwards is put online here for your listening pleasure.